Seattle Public Utilities’ RainWise program is helping property and home owners manage rainwater with strategies for controlling the quantity and quality of storm water on their land. Whether you live in Seattle or not, you can make a big difference by following RainWise tips. Algae, a vital group of bacteria and plants in aquatic ecosystems, are an important component of biological monitoring programs for evaluating water quality. They are suited to water quality assessment because of their nutrient needs, rapid reproduction rate, and very short life cycle. 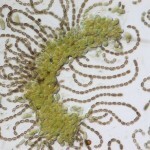 Algae are valuable indicators of ecosystem conditions because they respond quickly both in species composition and densities to a wide range of water conditions due to changes in water chemistry. WALPA needs you for the Board of Directors! Are you interested in helping plan the WALPA Annual Conference? Do you have good organizational skills and want to put them to use? Or do you just love lakes? WALPA is looking for volunteers to serve on the Board of Directors. 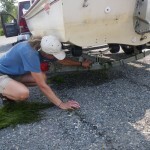 “Clean, drain, dry” is the mantra of modern boating etiquette. It’s also what we should do with all our equipment whenever we travel from one lake, river or stream to another, even if it’s just our wading boots that have gotten wet. Why? Because invasive species are excellent hitchhikers. 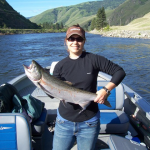 Elizabeth Rosenberger received a scholarship from WALPA in 2006 to help fund her Master’s research about the effects of shoreline development on the nearshore environment of a large, deep, oligotrophic lake in Olympic National Park. During this time she also had the opportunity to travel to Scotland to take Kindrogan’s Freshwater Algae Identification course. WALPA goes to Wenatchee – save the date! 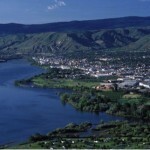 Mark your calendars for the 2012 WALPA 2012 annual conference to be held October 24-26 in beautiful Wenatchee! WALPA goes to Wenatchee. Save the date!